GetMoreOffers.com is the #1 source to list a house on MLS for a flat fee in Palm Beach Gardens. Start getting buyers from the MLS, Realtor.com, Homes.com, and hundreds of frequently visited real estate search sites today using the most reliable MLS listing company in Florida. GetMoreOffers.com is not your usual discount real estate company. We surpass all of our Palm Beach Gardens, FL competition for one simple reason: our top priority is the sale of your home. So much so that as a discount listing service we provide service beyond any full service agent's wildest imagination. This starts with our exceptional phone support and buyer lead recording system. Starting a Palm Beach Gardens MLS listing will immediately give your home for sale exposure to buyers seeking homes on Realtor.com and other popular real estate search sites such as Zillow, Yahoo Real Estate, Google, Trulia, and many more! We even list your Palm Beach Gardens, Florida home on Craigslist for you. 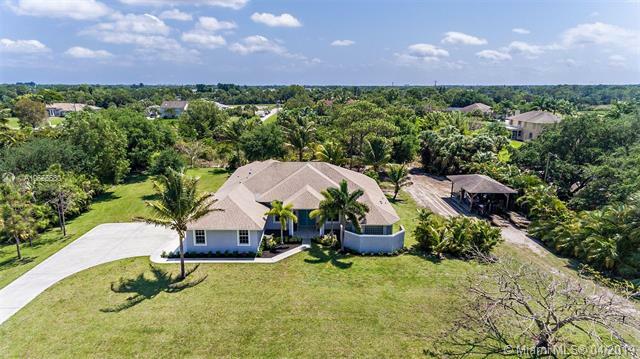 Most importantly, listing on the MLS will make Palm Beach Realtors aware that your Palm Beach Gardens property is currently available so they can show it to their clients. You choose the commission to offer in the Realtor MLS. And the beauty of a by owner plus MLS is that if a lead comes to you unrepresented, you pay no commission at all! Listing on GetMoreOffers.com through our state-of-the-art website is the first step toward getting your Palm Beach Gardens property sold. Our listing process is totally paperless…no forms to mail–we're 100% electronic and Earth friendly! With our innovative software, edits are simple and when it comes to implementing changes, no one is faster than GetMoreOffers.com. GetMoreOffers® believes sellers deserve more when selling for sale by owner in the MLS in Florida. We offer more service, options, technology, and marketing for your Palm Beach Gardens flat fee MLS property. GetMoreOffers® is a flat fee MLS provider who helps you get more offers because we guarantee that all buyer leads go to you. Palm Beach Gardens sellers can get a flat fee MLS listing the same day and can list a flat fee MLS home or condo for sale or for rent, or even list land for a low flat rate. We are the experts for listing in the Multiple Listing Service. Palm Beach Gardens is a community that is blooming just north of West Palm Beach. The residents of this city have nicknamed Palm Beach Gardens “A Unique Place to Live, Work, and Play”. The community covers about 55 square miles and 30% of that is designated as green space. The residential subdivisions within Palm Beach Gardens tend to be luxurious and gated communities. Tennis stars, Venus and Serena Williams, both live in Palm Beach Gardens. Palm Beach Gardens hosts the headquarters to the Professional Golfer’s Association of America. The Honda Classic is held annually at the Country Club at Mirasol in Palm Beach Gardens. The city has 12 golf courses within its city limits. Palm Beach Gardens is bisected by I-95 and is located close to the several airports: West Palm Beach Airport, Fort Lauderdale Airport, and Miami International Airport.